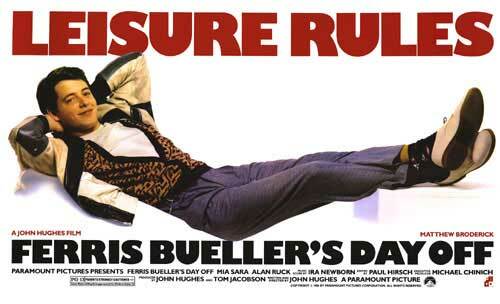 Ferris Bueller's Day Off is easily one of my favorite flicks. I first saw this when I was a little kid in summer camp at Northwestern University. It was my first time to Chicago and a pretty good introduction to how I would feel about this city for the rest of my life. 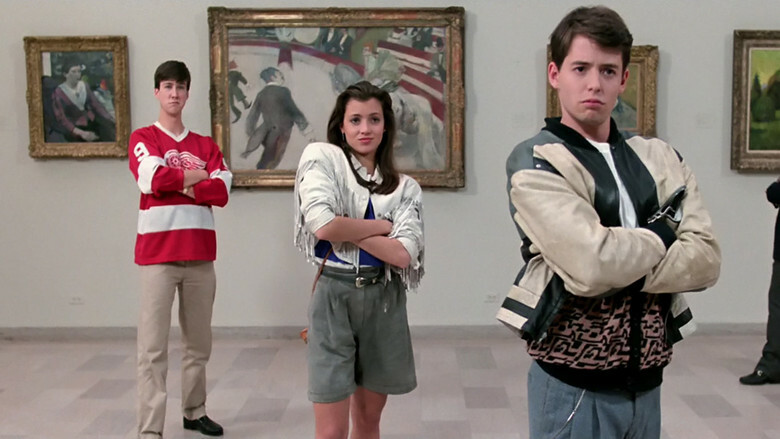 As a matter of fact, I'm a pretty big John Hughes fan all-around — this one and Home Alone sort of take the cake thought. I always, always thought Sloane was a babe and loved her crazy fringed jacket. Not to mention that there was something about Jeanie's bitterness and peach sweater that was just oh-so-right. 5. Gummy Bears. Put 'em in your pocket so they're warm and soft. Apologies for the lack of posts over the past couple of days. I started getting scheduled for 6am mornings at work again (meaning I wake up at 4am) and it sort of knocks me into nap mode in the afternoon — my primary blog time. No worries, though, as my sleep schedule is finally getting back into the grove!